If you are a restaurant cook – how often have you paused to think: “Why am I doing this”? Every cook understands that there is a balance of good, bad, and ugly with most careers, but at times it does seem like the cook’s job leans a lot more towards the bad and ugly. So, why do we do this? There is a part of every cook that believes that continuing to do what they do is an example of self-inflicted pain. Is it possible that we even enjoy this personal torture – you know – the hours, the social isolation, the physical work, the heat, the cuts and burns, the stress? It is worth a little study to try and figure out what makes a cook tick. We show up ready to produce, follow the rules of the game from sanitation to product handling, from how to hold and sharpen a knife to how each product is addressed with the edge, we practice the foundations of cooking that have been handed down from generation to generation, set-up our stations in precisely the same manner every day, speak to each other in the language of the kitchen, and address the kitchen leader with a simple: “Yes chef!” Aside from the military and professional sports, you would be hard put to find a career more disciplined than cooking. The chef and the customer may or may not point to flaws in a cook’s preparations and presentations, but if they do they pale in comparison to a cook’s own assessment of the work done. It is this intense self-assessment that drives cooks to always improve, but also remain emotionally impacted by any comment that points to errors or inadequacy. Cook’s may complain about excessive hours, but at the same time they accept that it is what is required. Those shifts that have a start time and open-ended finish time driven by how customers order and the start time that always means “show up earlier if you want to get the work done” have become part of the gig. It may be wrong in the eyes of some, but it does go with the turf. Career cooks can endure the hours associated with the job, but 100 plus degree temperatures, crippling humidity, and those 12-hour shifts standing on the flats of their feet can become an exercise similar to a boxer in the ring. Cooks are able to tough it out and look like they just went 8 rounds with a welterweight champion. Seasoned cooks are able to solve dozens of problems every shift without even giving them a second thought. Unlike other problem solvers who might need time to reflect on various approaches to a challenge, cooks don’t have the time for reflection. Cooks simply rely on their experience and instinct to act in a manner that will avert chaos and disaster. Once that confidence that defines a cook is realized he or she becomes totally focused on the details of cooking, station set-up, plate presentation, and flavor. It happens at some point – the cook can no longer accept mediocrity no matter how small the detail. This is a gift and a curse, but it is part of a cook’s makeup. As I have expressed many times, one of the most interesting characteristics of serious cooks is their desire and need to be creative. Sometimes this is contrary to their need for discipline, but even discipline can exhibit creativity. Cooks need to experiment, challenge themselves, perfect a dish, and eventually put their signature on a dish that proclaims their work. Like all artists, the cook is never satisfied with what they have created and constantly strives to work on ways to improve. The media enjoys pointing to those cooks and chefs who are pushing the craft in different directions, but even those explorers have a deep commitment to established methods and flavor profiles. 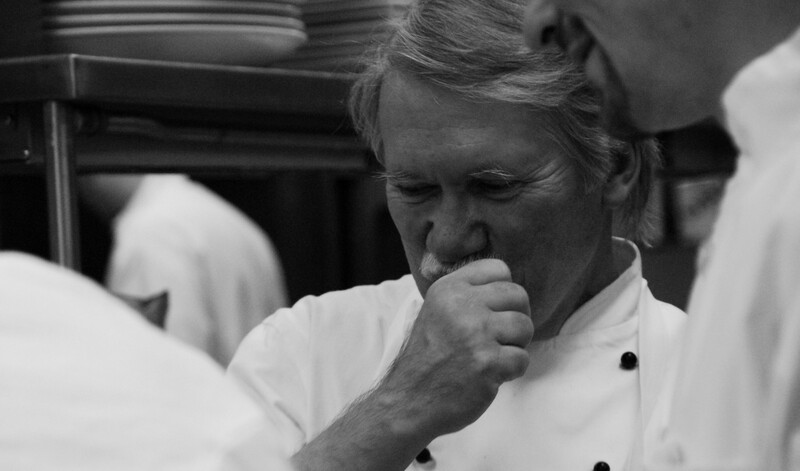 Career cooks know that the ability to create will always depend on a respect for what came before. Serious cooks embrace this reality and work every day to protect the standards of a centuries old craft. Career cooks are, by nature, highly competitive people. They compete with numbers (guest meals served, sales, food cost, number of features served, Trip Advisor rating, number of diamonds from AAA), they compete in a friendly manner with their co-workers (how busy their station was compared to others), but most importantly they compete with themselves (how prepared they are, the quality of their prep, the taste of their dishes, the reaction of guests to the appearance of their food). Competition can be very healthy and is usually a trait that helps a restaurant continually grow and improve. There are some restaurants whose business is very predictable, but most find that swings in business from day to day and hour to hour are anything but predictable. Career cooks have the ability to go from 10 miles an hour to 60 at the drop of a hat. This is an invaluable skill that every restaurant depends on. Finally, career cooks have developed acute sensual perception that allows them to adjust seasoning, embellish on aroma, perfect textures, and stimulate the sense of sight with magnificent food that gives the guest pause as they simply say: “Wow”. This is a skill set that comes with experience, but is built on an innate ability to understand how all of the senses marry into an experience.